MD: Were you always a fan of the game of basketball, and did you always have an interest in playing it? What initially drew you to the sport? RT: I always liked basketball. I played it with my friends then, but when I didn't stop growing I thought it could be something that could help me get girls. Then I fell in love with it. MD: Did you also play in youth leagues like the original "Fab Four" of LeBron [James], Dru [Joyce III], Sian [Cotton], and Willie [McGee]? If so, had you played with or against any of them? RT: I played, but I got a late start on the youth league. I didn't play organized basketball until I was 13. MD: Where did you go to school prior to St. Vincent-St. Mary? RT: I went to Central Hower, a public school in Akron. MD: Why did you end up leaving that school after freshman year and transferring to St. V.? RT: My old coach got fired, and I had some problems in school that year, so it was best for me to leave. MD: It's well noted that your arrival at St. V. immediately caused tension in the team with the other four. Why did you not quite take to them? RT: I really didn't like how they carried themselves--just too close for me. I was used to going to practice and then going home not being around the guys every day. MD: How did Coach Keith Dambrot's departure after winning the state title your sophomore year affect you? RT: I was only there for a year, so it wasn't as tough on me as it was on the rest of the guys. But i was thinking about transferring to a different school. MD: Why did you think about transferring? Was it not wanting to adjust to another coach, or was it just issues with St. V. as a whole? RT: Everyone [on the team] thought about it, and it was a lot to deal with. I didn't think i could keep adjusting. MD: A bit of a media circus started surrounding the team your junior year after LeBron landed on that Sports Illustrated cover. What was going through your mind as one of your teammates was suddenly a celebrity? Did this just increase tensions with that core four or affect your feelings about them? RT: When you're going through the madness, it doesn't seem like anything that became normal to us. I was always happy with people's success so that definitely did not contribute [to the tension]; if anything it helped ease the transition. MD: So sharing this rather surreal experience became something you could bond over? RT: Yes--through all the fans and media, that definitely brought us closer, I thought. MD: What changes did you personally make after the junior year disappointment of losing the state championship game, both in your game and mentally? RT: I was just more focused on and off the court. 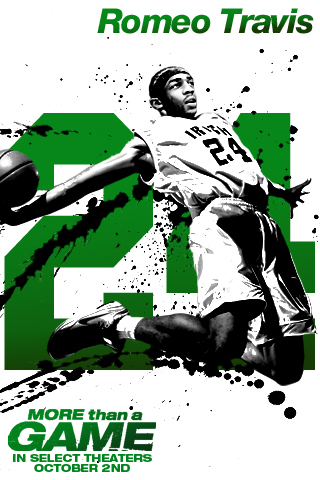 I had to realize what I was there for: to play basketball and to get a good education. I cut out a lot of extra off the court activities that were hurting my development into a responsible young man. MD: How did you finally become a true member of the core group, making it a "Fab Five"? RT: I don't think there was an official day; it just happened over time. We didn't make an announcement or anything. MD: What was your favorite memory of playing at St. V. and the most valuable thing you took away from your time there? RT: Just being in school laughing and clowning around with the guys. I took away what it meant to be a true friend, and I still carry that with me today. MD: What are your reflections on the time playing under Coach Dru [Joyce II]? RT: I love him; he is the father figure I look up to. He changed my life, got me into St. V., so I don't know where I would be without him. MD: What did you study in college, and how was your playing experience there? RT: I went to the University of Akron, and my major was broadcasting. It was a great experience. I went through a lot there--winning, losing, becoming a father, a lot of things; college was crazy. MD: Dru also went to Akron U. and played alongside you. RT: Dru being there was great because we both could help each other ease into the world of college. MD: Is broadcasting something you still would like to pursue? RT: Yeah, I did a couple games before, and I really enjoyed it. So maybe when I'm done playing I can broadcast games live. MD: After graduation, what was the path in pursuing your pro basketball career? RT: After I was done at Akron U. I went to Spain for four months on two different teams, then I kind of got fed up with basketball and went back to school. 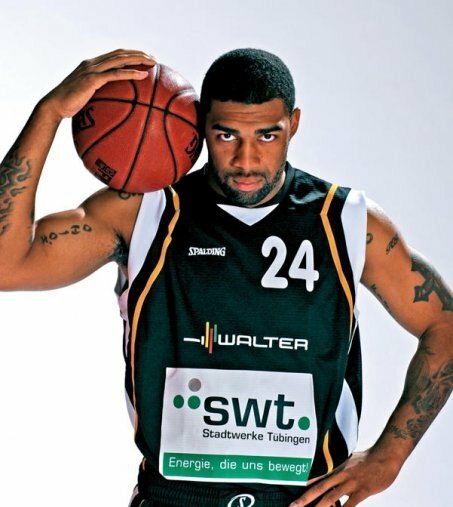 Dru knew I was unhappy so when one of his teammates [on German team ratiopharm Ulm] got hurt he told his coach to bring me over, and I played there for a year and a half. Now I'm still in Germany on a new team and loving it. MD: What team are you currently on? MD: How did you feel about being filmed during the high school days? Was it easy to be comfortable with director Kris Belman around, and how did he gain your trust? RT: It was cool being filmed; "Cam Man" was great--he played his role and just chilled in the background. He didn't try to "make" a film; he just let it develop on its own, and he didn't have any trouble letting us talk about him too. He was like part of the group, and he and I have become good friends since then. MD: How was the experience of seeing the film the first time at the 2008 Toronto Film Festival, and then at the big homecoming premiere in Akron during the Nike Basketball tour this summer? RT: It was great seeing the film with crowd reaction, tears and all. It was an amazing feeling; i can't explain it. The love we received when we returned to Akron was amazing. Everyone was and is still excited about the movie and putting our city on the map. MD: What do you hope audiences will take from the film and all of your stories? RT: First, that it's not "the LeBron movie." Everyone is a very important part of the film--if anything it's "the Coach Dru movie," but it's about true friendship and how with hard work and determination anything can happen.